Where can I find my low priority emails? You can go to Low Priority from the main Karbon menu. 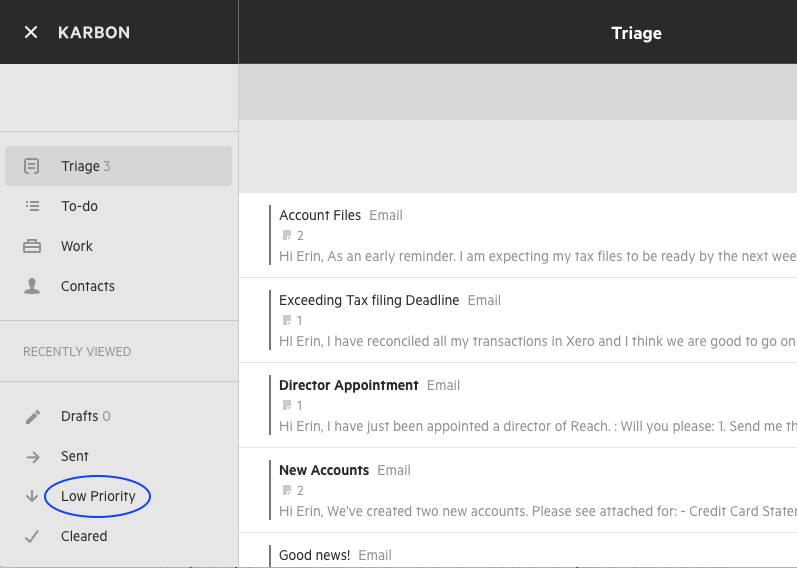 All low priority emails can be found in their own section for you to read and clear when you have dealt with your more important emails in Triage.